One more special day for what we actually wait for 365 days because this day is a very special day for us - the festival of light DIWALI. In this special day we light all corner of our house. We decorate our house with lights, Rangoli and buy new dresses for all our family members. 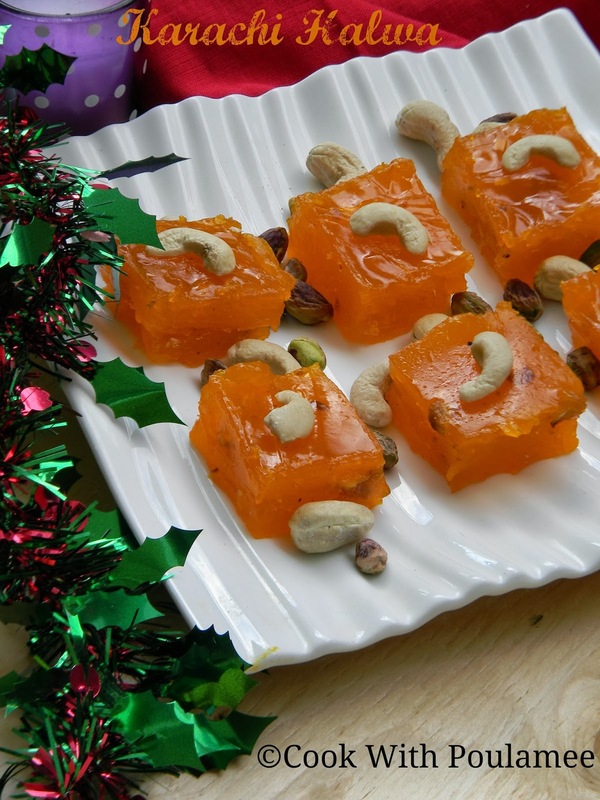 And the most important part of our DIWALI is making sweet dishes for our guests. 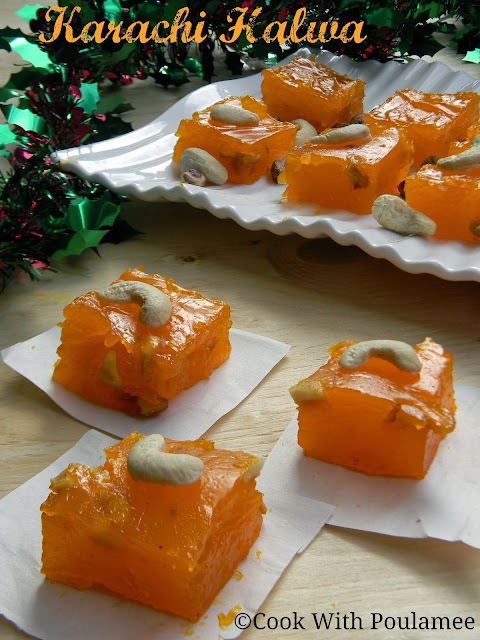 Every year I have guests in my house in DIWALI so before the day I have to prepare some sweet dishes for them. 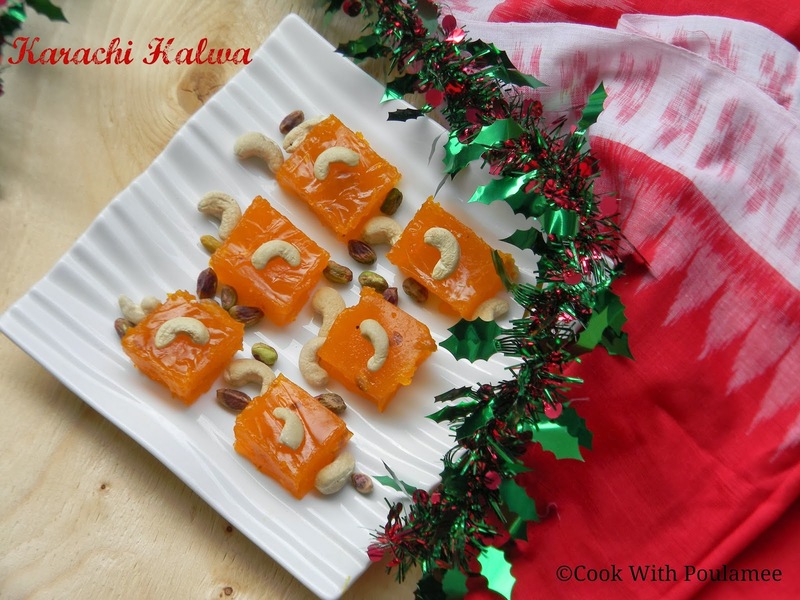 This year I prepared some KARACHI HALWA which is a famous sweet dish from KARACHI. 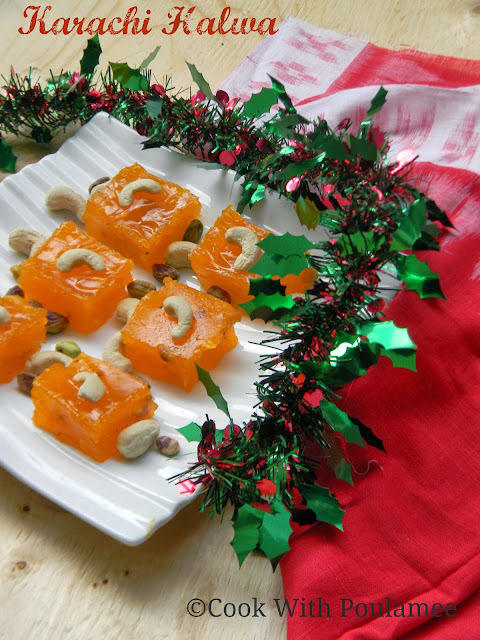 The main ingredients of this sweet are corn flour so you can call it Cornflour Halwa too, a very easy a quick sweet dish to impress your guests. 4.Few chopped cashew nuts (you can use almonds or pistachios also). 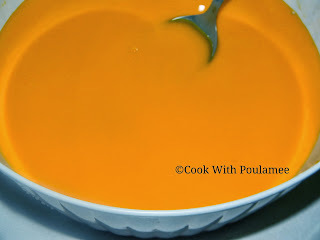 7.Little ghee for greasing the plate. First grease one plate with little ghee and keep it aside. 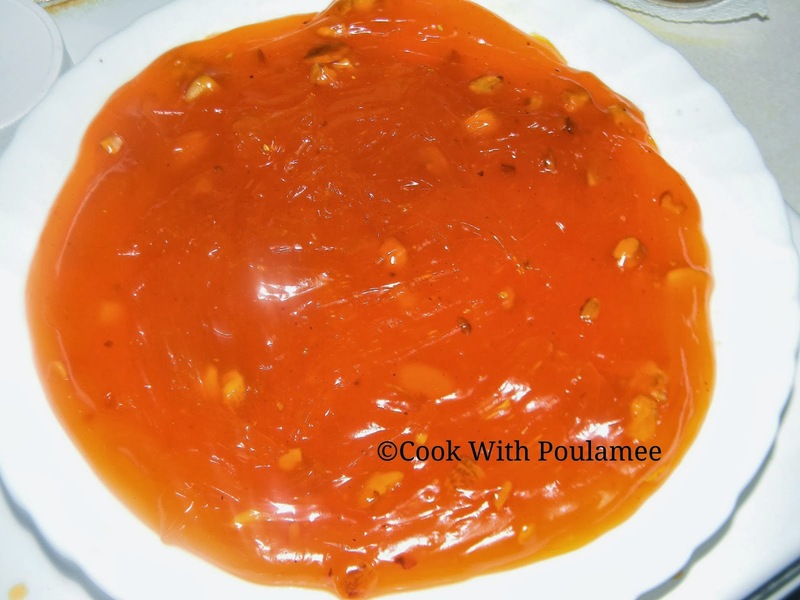 Now in a vessel add the ghee and fry the chopped cashew nuts till they turn golden brown and keep it aside. Now in a separate vessel add one cup of water and sugar allow it to boil in high flame for 3 to 4 mints, then add the freshly crushed cardamom’s. 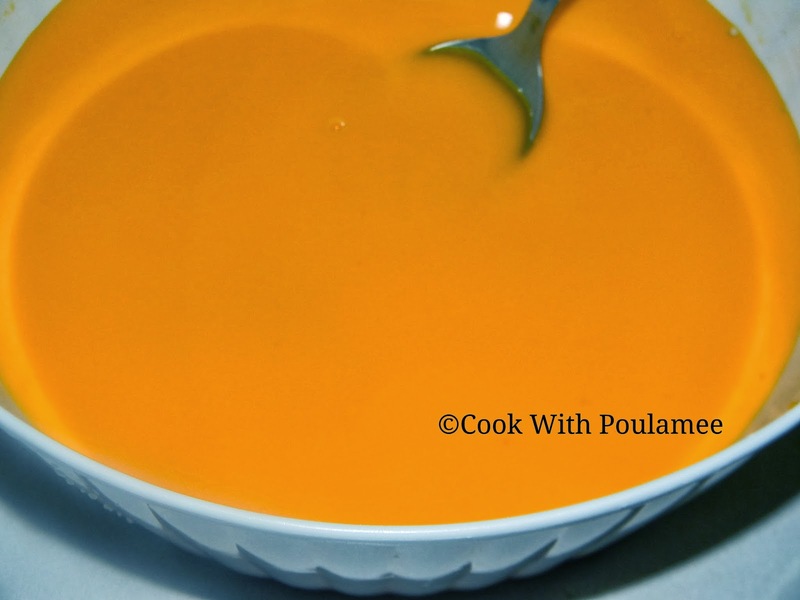 On the same time in a bowl add the cornflour and 1 ½ cup of water and mix well no lamp should be there. 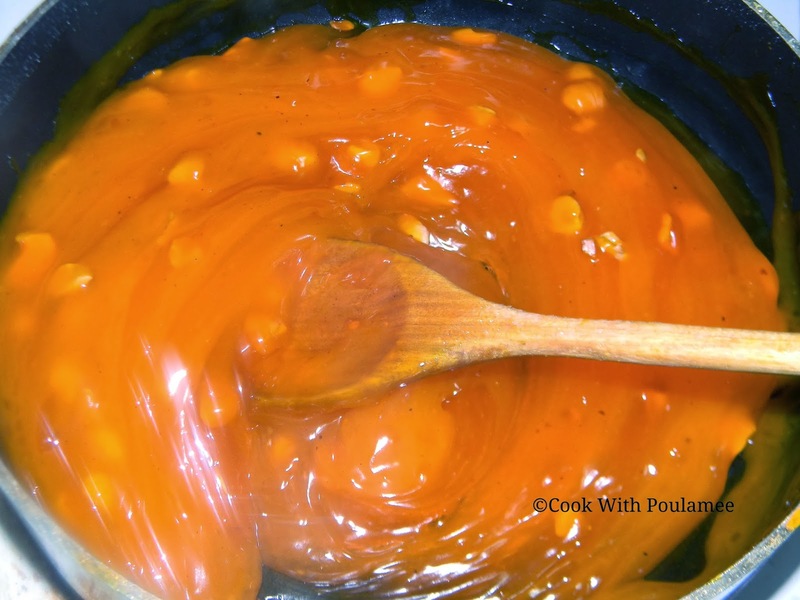 Now add the food color and mix well, now add the cornflour mixture into the boiling sugar syrup and reduce the flame in very low and stir continuously. In between add the fried cashew nuts with the remaining ghee left in the vessel and keep string till it become like a jelly. Now pour the mixture into the greased plate and smooth the surface and the corner.